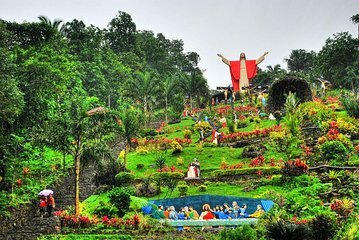 Visit a renowned pilgrimage site easily from Manila on this day trip to Kamay Ni Hesus and the Nagcarlan Church. This trip to historical religious sites, parks, and shops will be of interest to both devout Catholics and other travelers with an interest in culture and history. Your local tour guide will tell you everything you need to know about this important site.